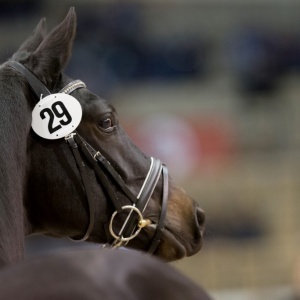 Stud fee: 850,00 EUR Cover insert successful sport horse test. 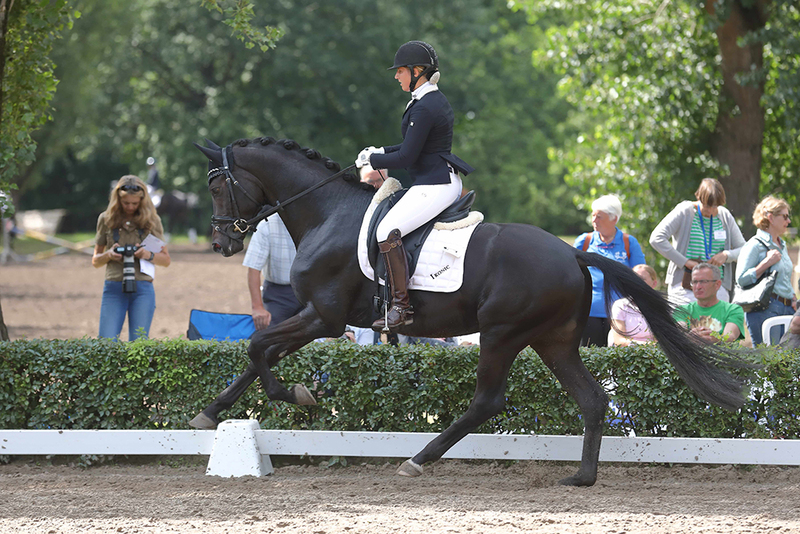 Speedway got licensed at the Trakehner stallion market 2016. 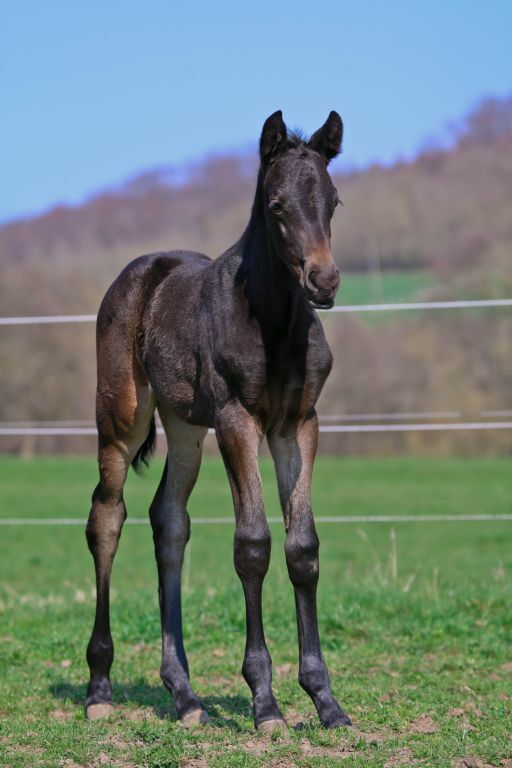 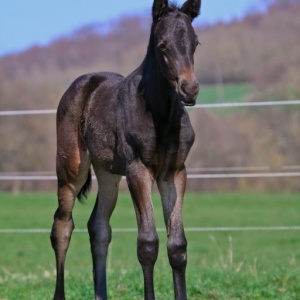 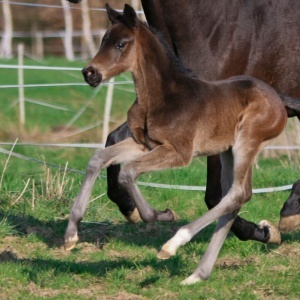 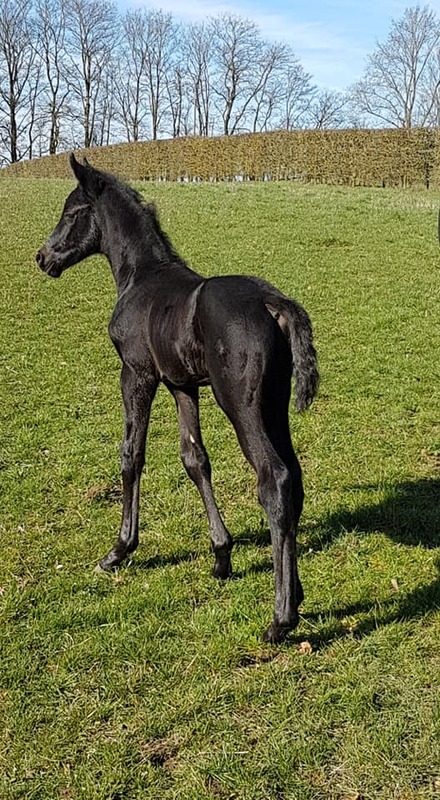 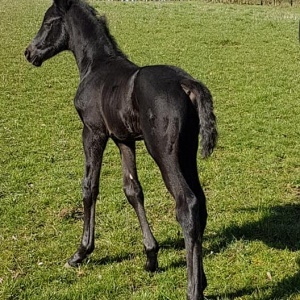 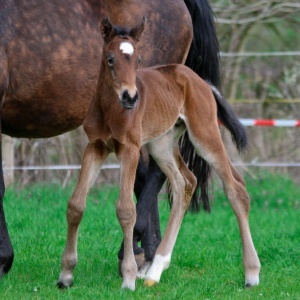 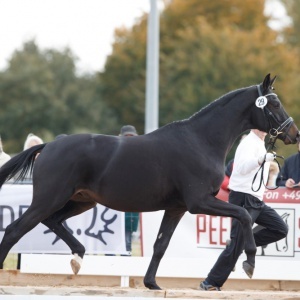 He originates from Schwarzgold of the state premiere and premiere mare Shahira of the E.H. Anduc and had been bred by Udo Schmittberger from Schotten. 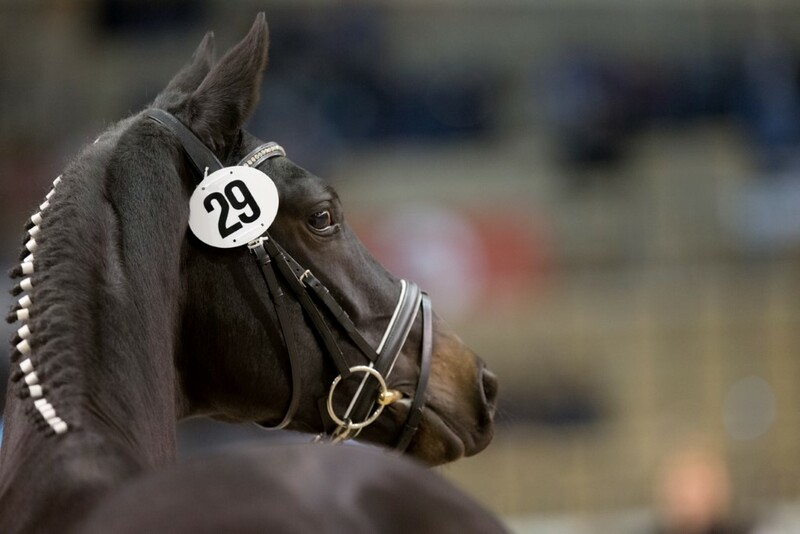 Accordingly, Speedway got to be the second most expensive horse of the stallion auction with 170.000 Euro. 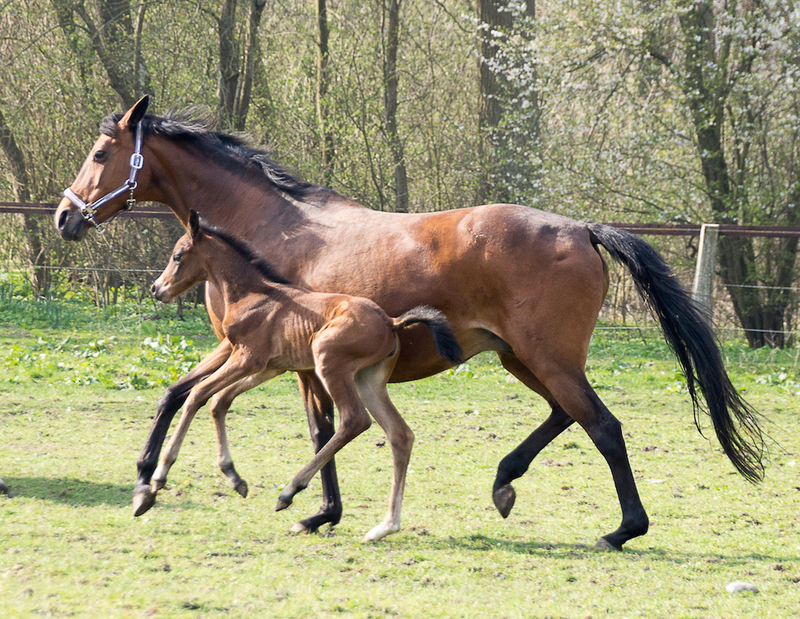 In September 2017, Speedway passed its 14-day assessment test with flying colors. 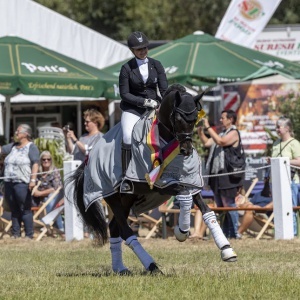 Under his rider Kim Pfeiffer he also became vice champion at the Trakehner federal tournament in Hanover and collects victories and places in riding horse tests. 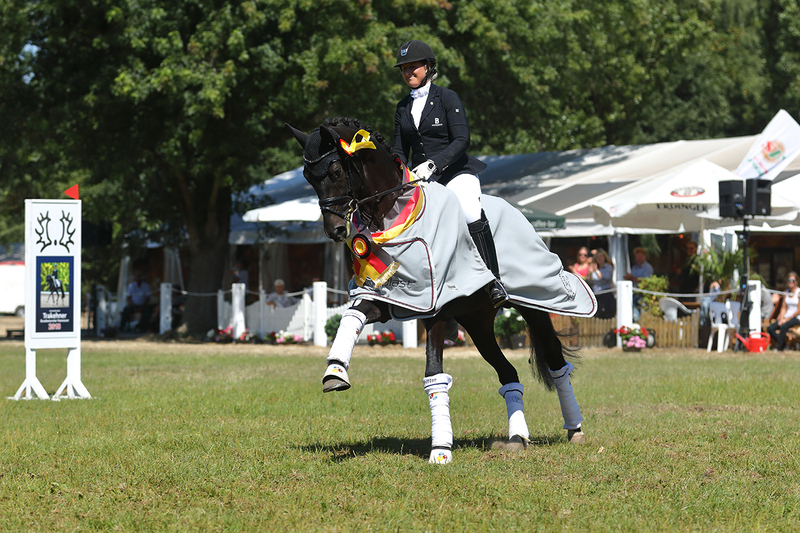 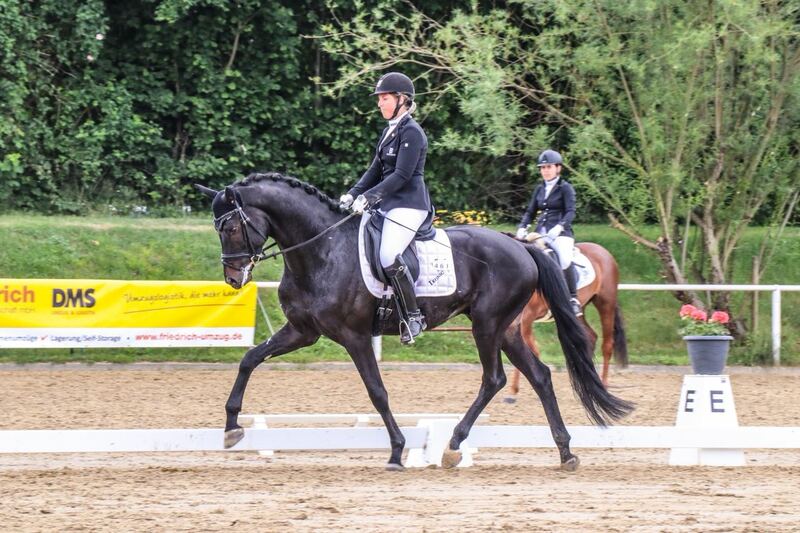 As the only Trakehner of his year, Speedway also took part in the Federal Championship in Warendorf. 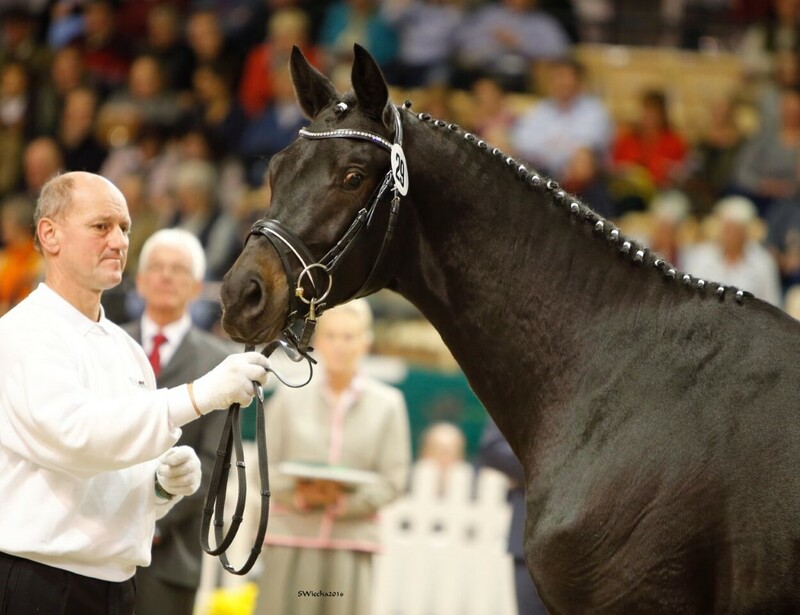 Also in 2018, the stallion continues to collect victories and placings. 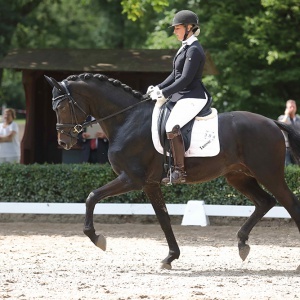 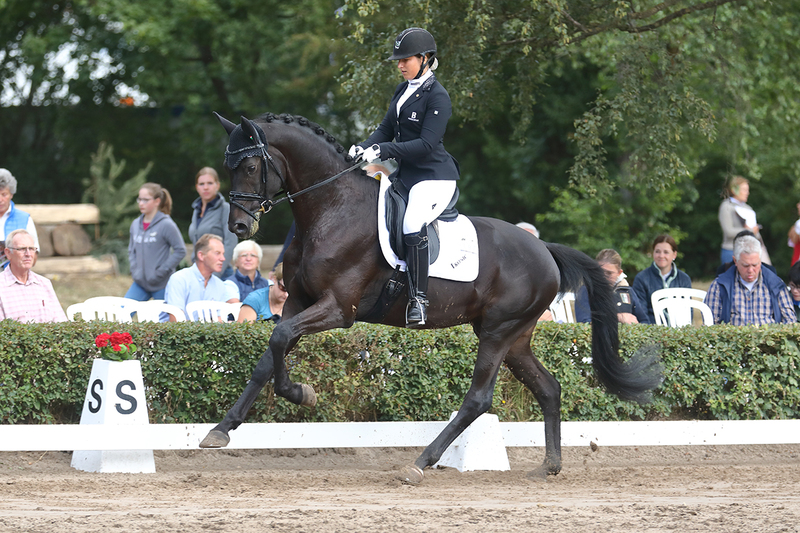 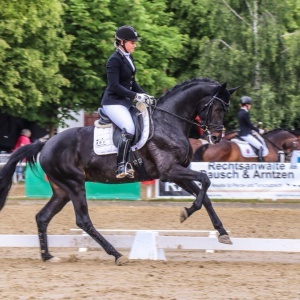 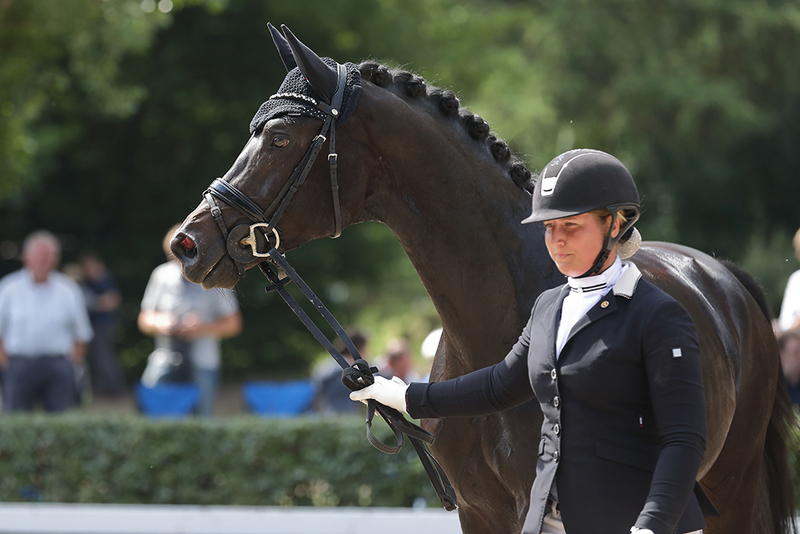 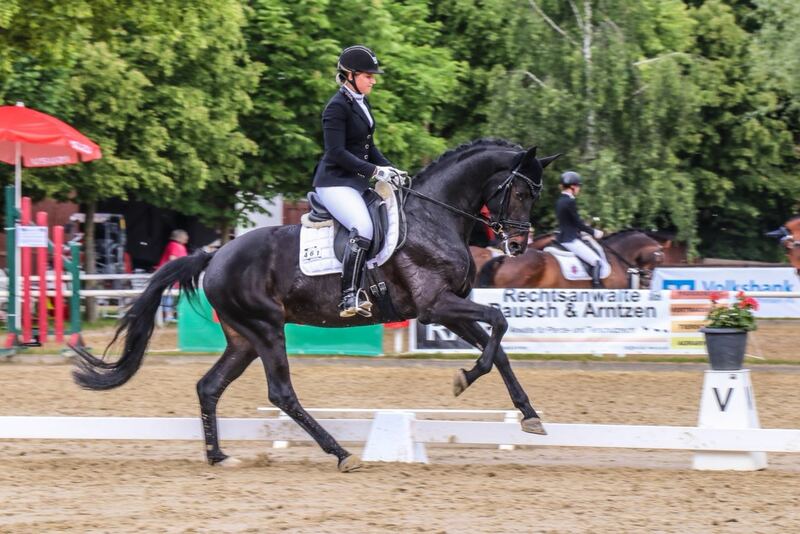 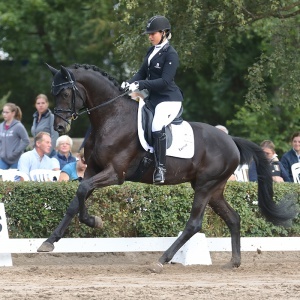 Under his rider Kim Pfeiffer, the young stallion has already won class A dressage tests and became Trakehner riding horse champion and took part in the Bundeschampionate. 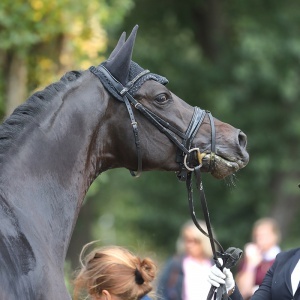 So Speedway is thus the most successful Trakehner of his year in the sports year 2018. 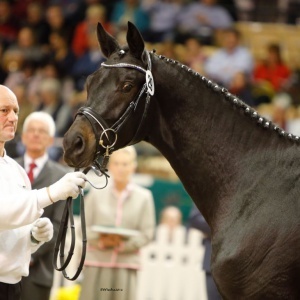 His father Schwarzgold was premiere stallion of the licensing 2011 and also got licensed for Oldenburg in the same year. 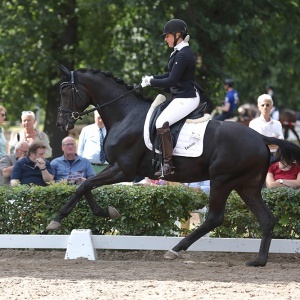 In 2012, he qualified for the Bundeschampionat, successfully completed his 30-days-performance-test in Adelheidsdorf and got Trakehner champion of the four-year-old stallions. 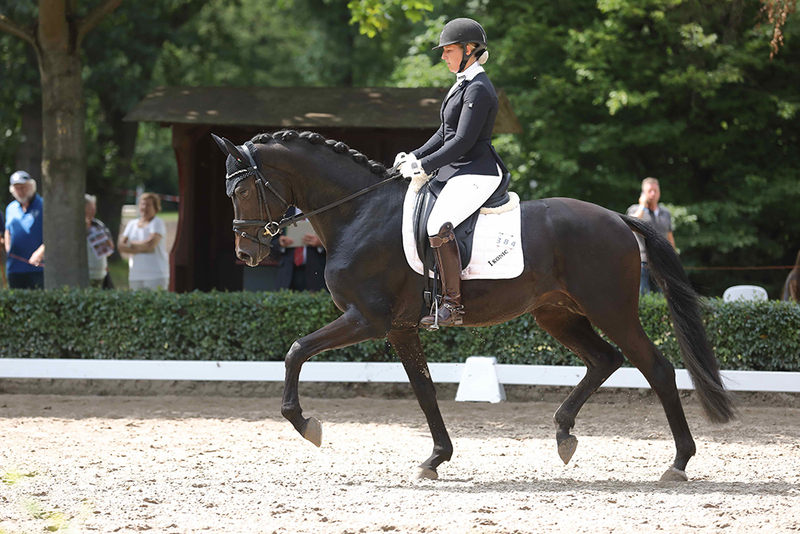 In addition, he got licensed in Denmark and Hannover. 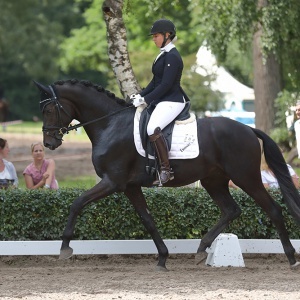 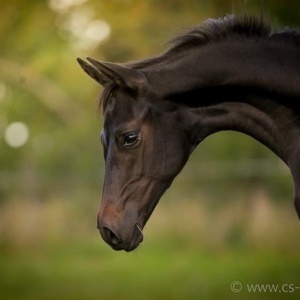 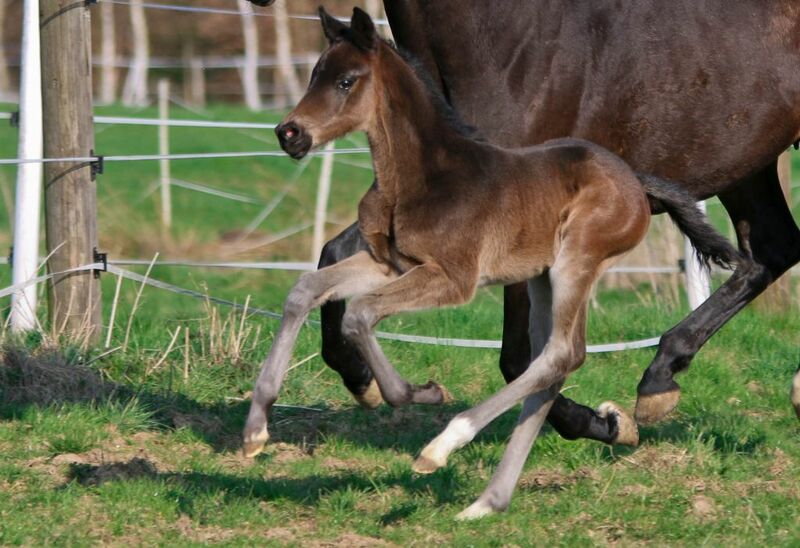 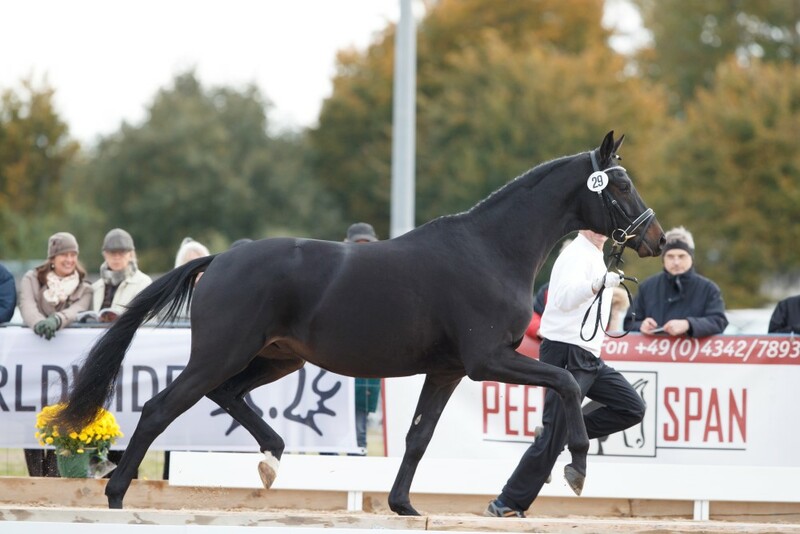 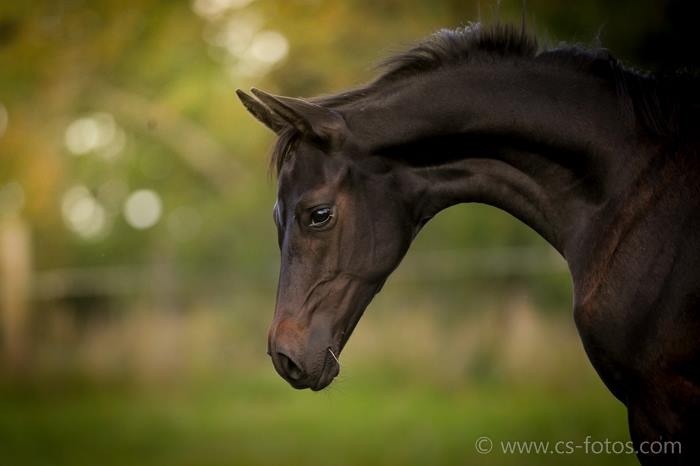 In the following years, the stallion was being successful in dressage up to level M, several times qualified for the Bundeschampionat, provided top foals for the auctions in Hannover and with Perpignon Noir also provided the winner stallion of the Trakehner licensing 2015, who got sold for a record price. 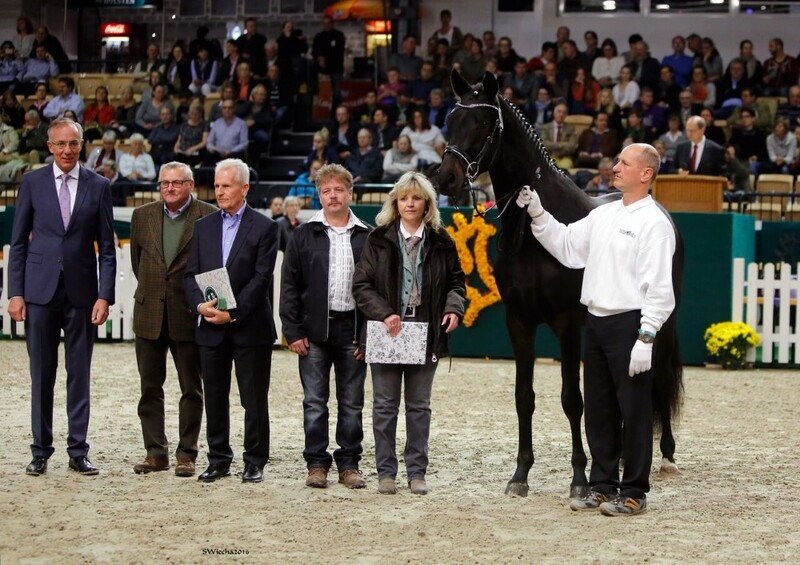 At the Hannoveraner mare show in Luhmühlen, Schwarzgold also provided the class winner mare within the two-year-old mares. 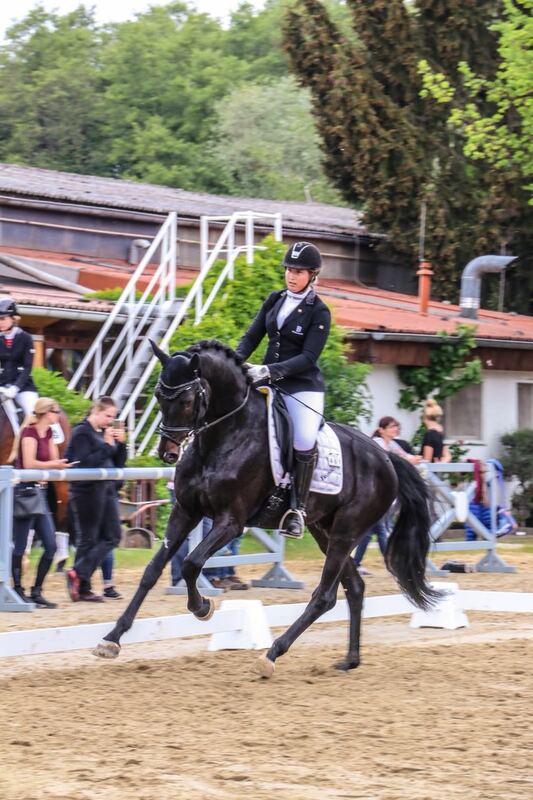 Already at the age of ten, Schwarzgold’s father Imperio can exhibit an extraordinary career. 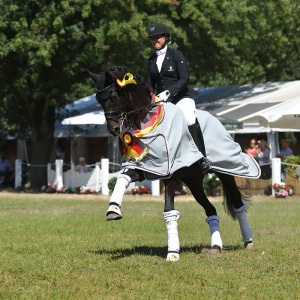 He was the reserve winner of the licensing, Trakehner champion, vice world champion and Federal Champion. 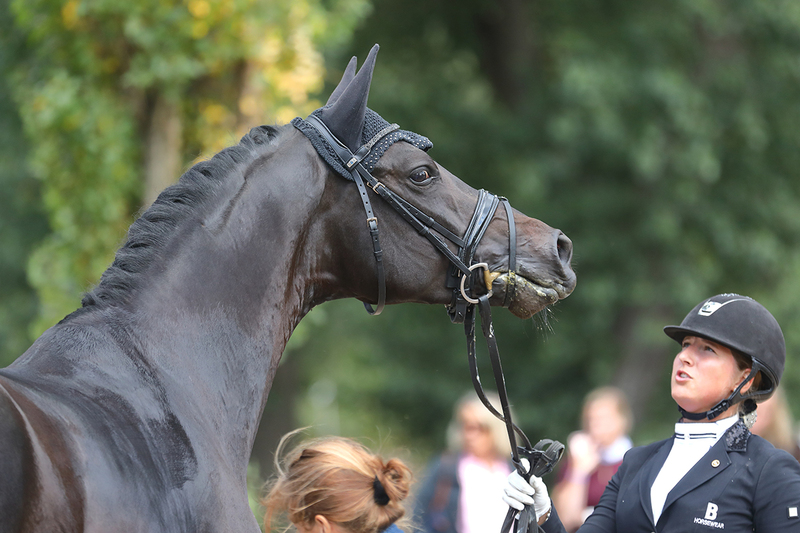 With his rider Hubertus Schmidt he is currently showing his qualities with impressing performances on international tournaments. 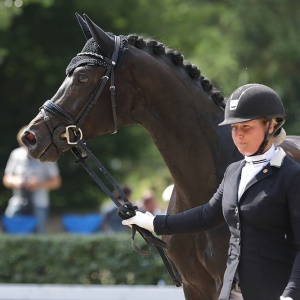 In 2016, the successful duo has been the reserve pair at the Olympic Games.The noble mother is member of the reserver winner family of the State Exhibiton Hesse 2014. 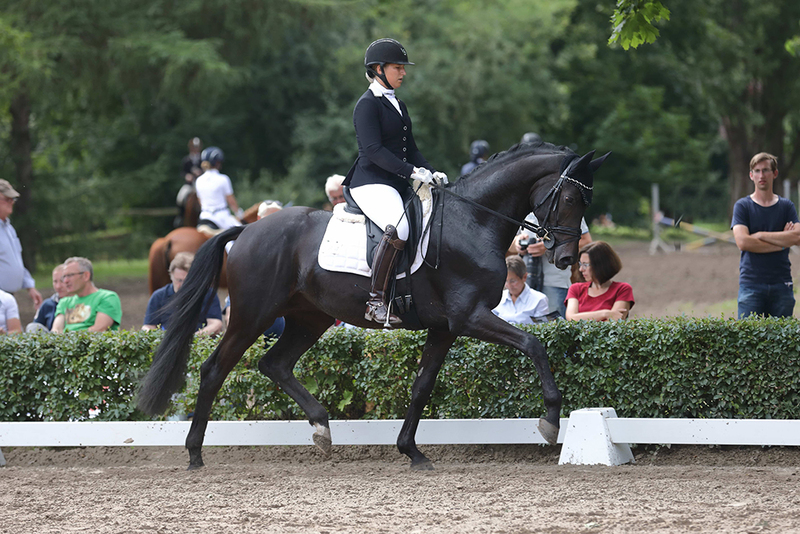 Her mother gained the class victory and stepped up to the podium as a reserve winner. 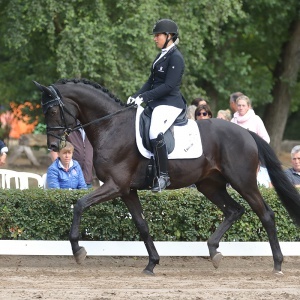 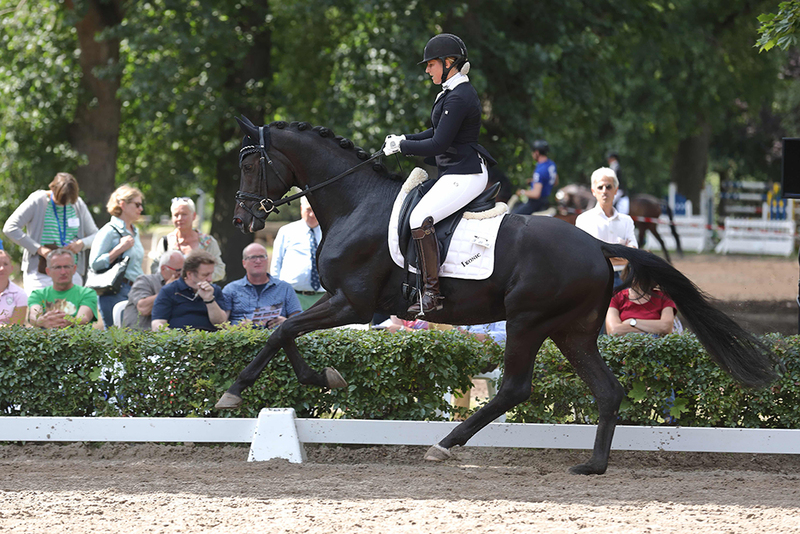 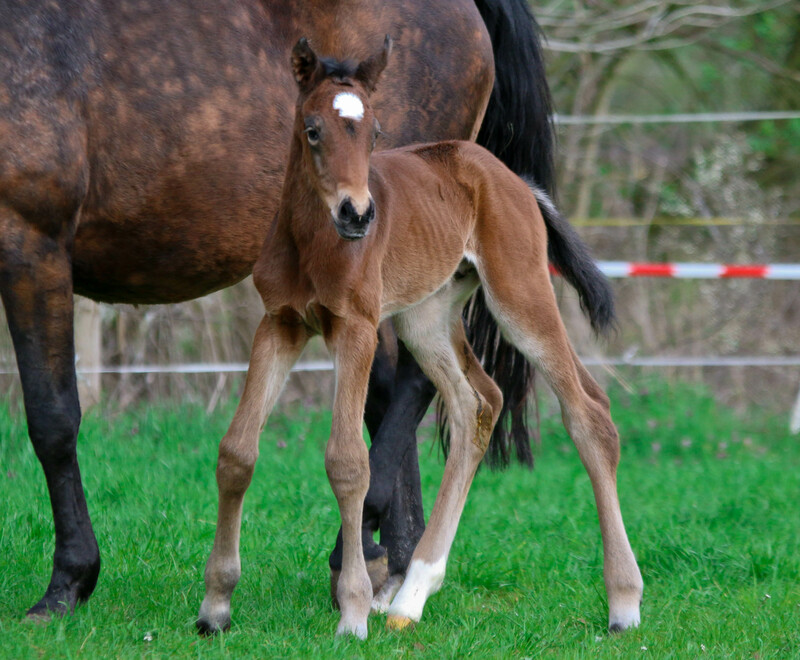 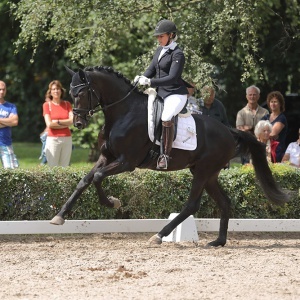 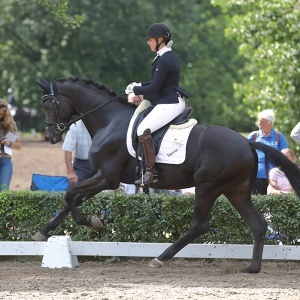 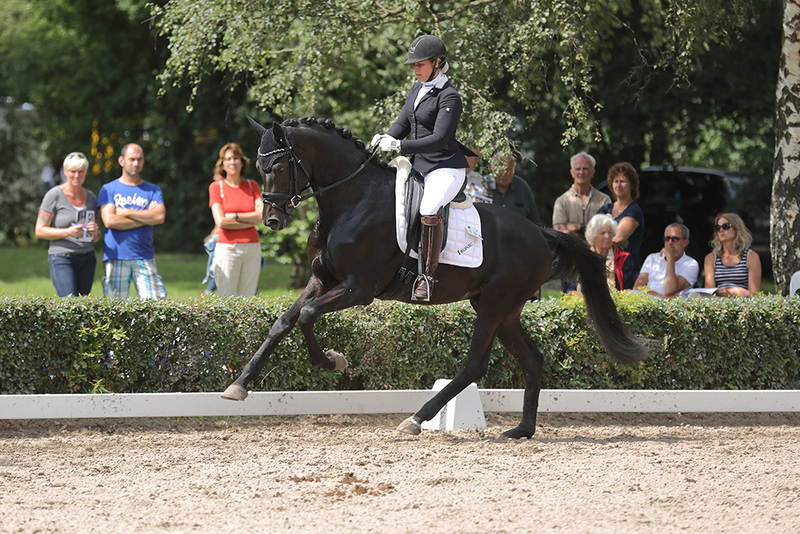 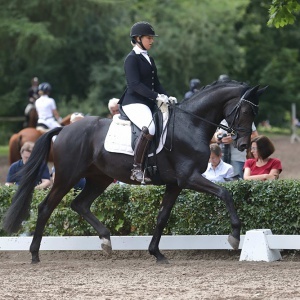 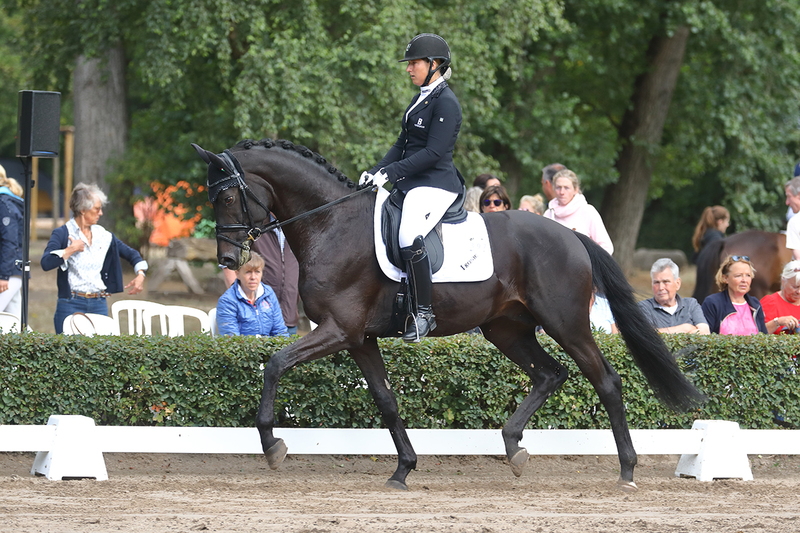 This branch of the widely spread Schwarze-Schwalbe-Family also includes Seal, who is successful on the Grand-Prix-stage and Sergant Pepper TSF who is successful in dressage up to level as well as the sires Schwadroneur, Stradivari, Sanssoucis, Showmaster, Saint Cyr and the licensing winner Songline (USA). 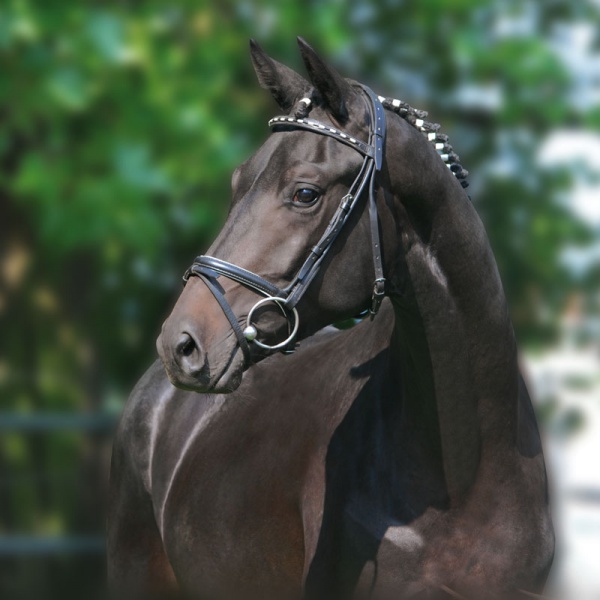 Due to his appearance, personal contribution and inheritance, the dam’s sire Anduc, an elite stallion, ranked among the most valuable stallions of the Trakehner bred, even if he only reached the age of 14. 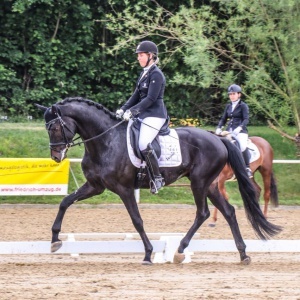 He proved his outstanding rideability in dressage competitions up to level M and passed on his facilities to his countless offsprings. 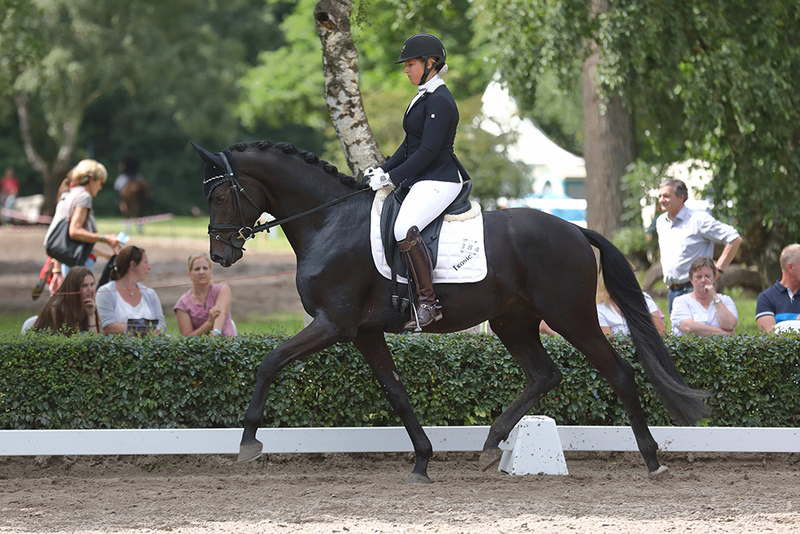 Best known today might be Lutz Weyland’s Mon Acteur TSF but also Induc, Harlekin, Goldglanz as well as the stallions Schiffon, Le Duc and Angard are or have been successful up to the highest dressage level. 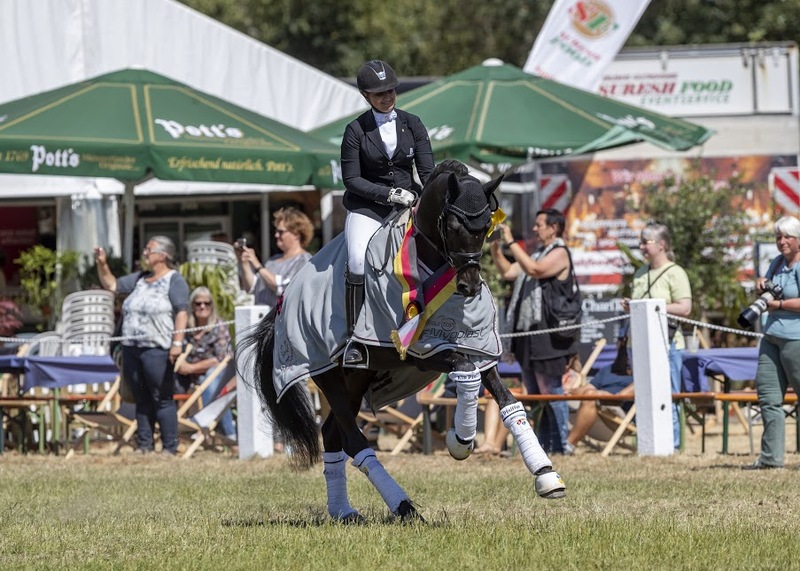 The offsprings of Anduc, Helia, Esprit and Helena, cause a sensation in the driving sport as well as Anduc’s grandchild Estephan. 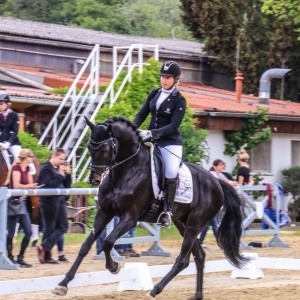 The jumping stallions Budweiser Classic and Balisto Z originate of a Anduc-mother as well as the eventing horses Karasada M and Karambeu M.
Anduc’s mother Angelique originates from the family of the Anemone (Igor Meyhöffer) and maintains with Ibikus and Impuls two of the most formative sires of the postwar period in her pedigree; a multiple line breeding on the big Humboldt also causes attractiveness. 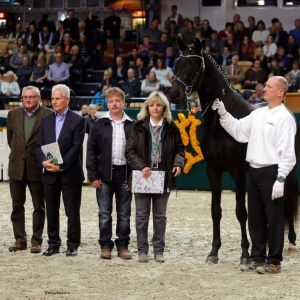 In the Bundeschampionaten he was the only Trakehner among the four-year-old stallions.